WHAT: An affiliation ceremony will be held for Keep Ridgeland Beautiful. This organization based in Ridgeland, Mississippi will join the national network of affiliates of Keep America Beautiful. Keep America Beautiful brings people together to sustain vibrant communities. City Hall is located at the corner of Lake Harbour Drive and Highway 51. 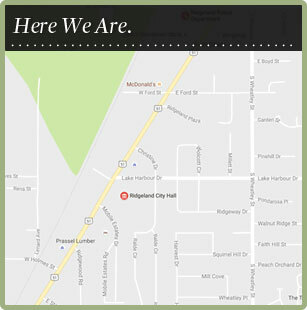 WHY: For the purpose of Keep Ridgeland Beautiful joining the Keep America Beautiful network. The Keep Ridgeland Beautiful organization is a group of local volunteers who will act as a catalyst for positive community change, seeking to improve the quality of life for residents by offering solutions that maintain beautiful public places, reduce waste and increase recycling. Their efforts will inspire environmental stewardship in the community and generate a positive impact on the local economy. HOW: For interviews or additional information, please contact Mike McCollum, Director of Public Works, City of Ridgeland, 601-853-2027 and Mike.McCollum@RidgelandMS.org.